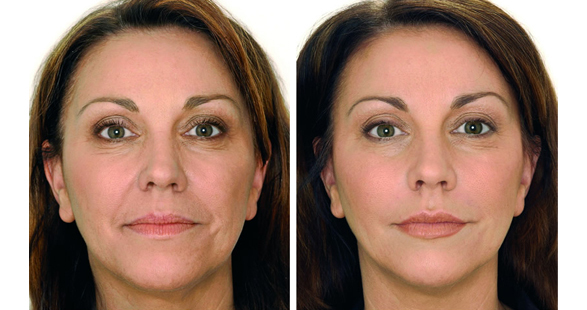 Some of the most popular non-permanent dermal fillers are Hyaluronic Acid (HA) based. Hyaluronic Acid is a substance naturally occurring in the body, which attracts and holds water. Put simply, the more Hyaluronic Acid that is in the tissue, the more plump and youthful the skin looks. When injected by an experienced practitioner, very natural looking results can be achieved using Hyaluronic Acid Dermal Fillers. They will help to reduce the signs of ageing and counteract volume loss to areas of the face and body. For example, a face that has lost the ‘apple’ appearance of the cheeks will benefit as the filler restores a fuller curve to the upper portion of the cheek, creating a natural lift to the cheeks. This softens the heavy appearance of folds and lines lower down the face. As we age, Hyaluronic Acid starts to decrease. Our lips start to lose volume and appear much thinner. Lip fillers can be used to enhance or restore the shape and definition of the lips, giving them a very natural and plumper appearance. As our skin gets thinner, the underlying structures in our hands become more obvious and people often complain of having veiny hands. Bony hands with prominent veins can be very ageing and celebrities such as Madonna have often been singled out for having hands that give away their age. Dermal fillers can be used to hydrate dry skin and help make the hands look plumper and younger. Absolute Aesthetics mainly uses Hylaluronic Acid fillers. 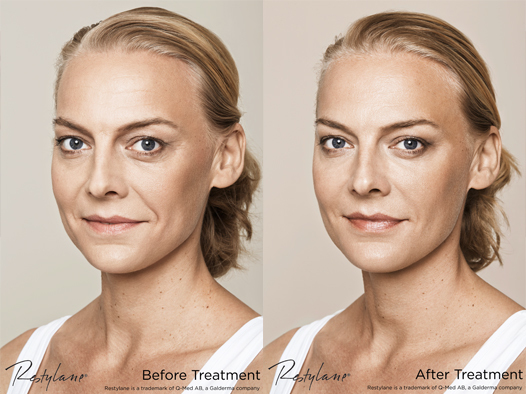 These are non-permanent and the effects will naturally and gradually wear off between 8 to 12 months after treatment. Whilst this may be considered a more expensive option, when compared to permanent fillers, it is worth considering that the face changes with time and subtle adjustments need to be made as the face ages. In the event that a patient is not happy with their results, it is possible to safely dissolve the product.